News: Notes from the Brainstorming Brunch, Seeking a New Artistic Director! If you think you may be a good fit for this role, we’d love to hear from you! Expressions of interest may be submitted to hazellyder@gmail.com, before Monday, December 10th at 4:00pm. What’s happening in 2019? We Asked. You Answered! Thanks to all who participated in the re-envisioning brunch at this year’s festival. 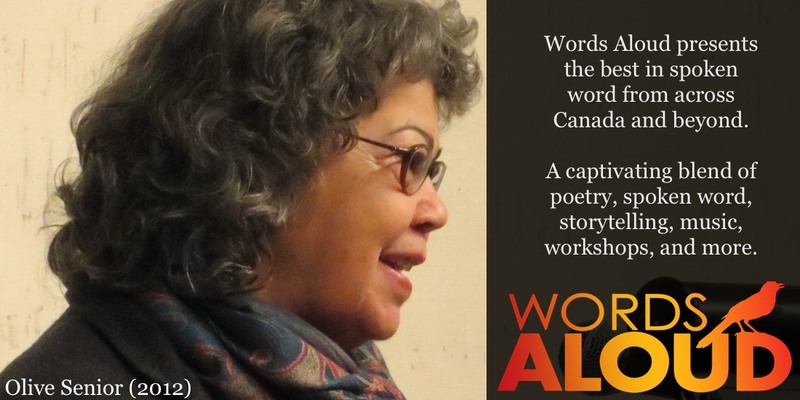 In our 15th year, the Words Aloud team asked: is the festival done? Or is there enough energy to carry on? Approximately 30 people attended a brainstorming session on festival weekend and a wealth of ideas emerged as well as a general consensus of yes, please, more Words Aloud! Enthusiasm for the literary arts exists throughout the region, so it would be good to continue our program in various locations. 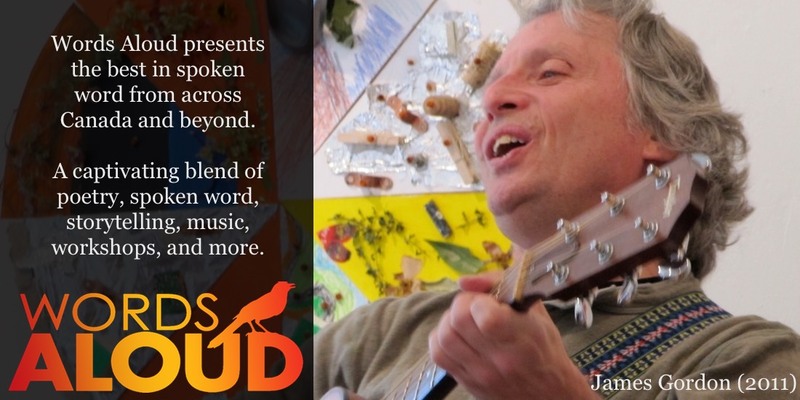 The Owen Sound main stage event this season should be continued, as well as possibilities explored in communities where we have not yet done any programming, such as Meaford and Thornbury. While acknowledging that there has been a steady decline in Durham, (Saturday night audience numbers from 100 in 2010 to 63 in 2018,) a number of Durham participants expressed a strong will to continue the festival in its ‘home town’. A number of marketing and programing ideas were shared as possible initiatives to help build our audience, such as a Words Aloud membership, newspaper features, and pre and post festival events. As we grapple with the need to grow our audience, it would be ideal to attract both young adults and just as importantly, people under age 50, who may also be willing to play a role in festival organisation. The high school SLAM team that seems to be emerging as a result of our workshops this year is an exciting development that needs to be nurtured and hopefully integrated into the 2019 festival. Ann Hagedorn, coordinator of the school program this season, offered to keep in touch with schools so as not to lose momentum and connection. Likewise, Dawna Proudman, this season’s Artistic Director, offered to mentor anyone who steps into the Artistic Director role if needed. It is also important that the festival be accessible. The various free and low-price ticket initiatives of the past need to be continually reviewed and refreshed. Our think tankers also posed the questions, “What are we building toward?” and, “Is bigger better?” Suggesting that we need to have a better sense of how large we would like to grow, and whether or not expansion is necessary to keep the festival alive. We need to bear in mind that if we go too big, in terms of audience size, number of events, and geography - we run the risk of losing the intimacy, fellowship, and community that characterizes the festival now. Some of our guest poets offered the unfortunate but nonetheless reassuring news that literary festivals everywhere are facing the same problems. 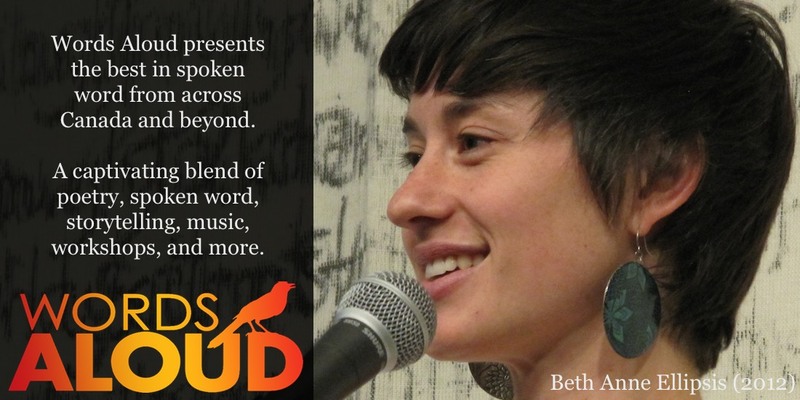 The task of continually seeking to build our audience is not at all unique to Words Aloud. 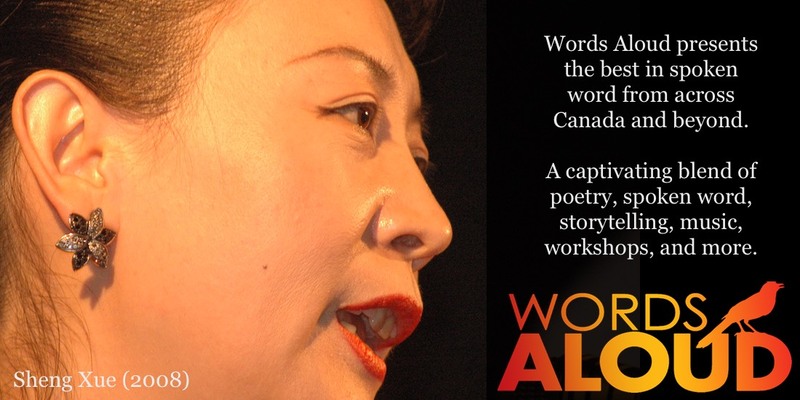 The Words Aloud mandate has always been to present the best nationally known & diverse Canadian poets, storytellers, and spoken-word artists to perform for a local audience. Recently as audience numbers have declined and the competition for funding increased, there has been some discussion about revising this mandate to include diverse art forms such as film, theatre, mime and music. 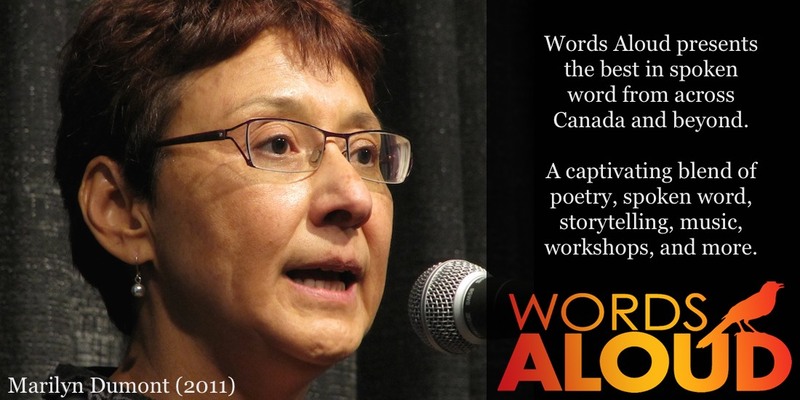 Some local poets have expressed a wish for the Festival to feature local poets. The consensus of the group at the round circle was that Words Aloud needs to stay true to its spoken word mandate for several reasons: (1) to stand out clearly, (2) to be focussed - don’t try to be all things, (3) we already have a multidisciplinary program under the spoken word umbrella. There was also strong support for maintaining its unique (to this region) national “best of” program. The advice from others who have had literary festival experience and were in attendance is don’t aim for inter-arts grants (the competition is greater), but rather, staying true to our roots and mission, continue under the literary umbrella for grants. This still allows lots of scope to be innovative and respond to what is ‘hot’. It was also felt that sufficient funding must be secured to be able to offer some form of payment to key festival personnel (Artistic Director and Co-ordinators) as it involves many hours of work over a full calendar year. WHERE IS OUR HOME AND WHO ARE OUR KEY PARTNERS? The festival needs a charitable sponsor in order to apply for public funds. The Durham Art Gallery has been the Words Aloud charitable sponsor and primary venue for most of the festival’s history. In 2018 Sheatre became our charitable sponsor and a number of options are possible for the coming year(s). This strategically important relationship will need to be secured as a priority going forward for a future season. 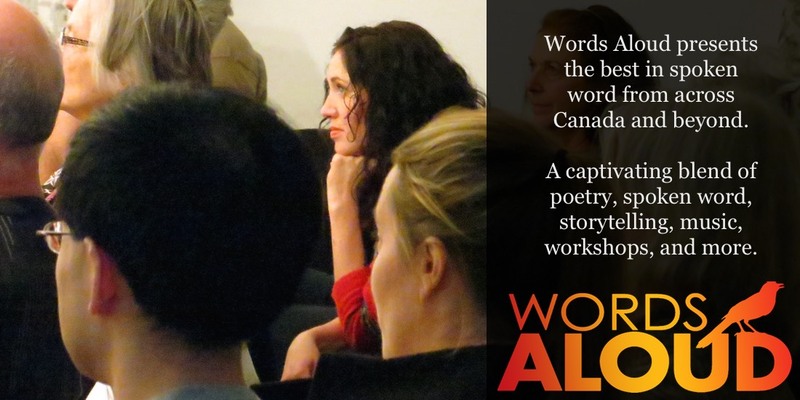 Multiple suitable venues are available in a variety of locations and while it allows the festival to reach a broader audience, multiple venues also present logistical challenges and holds the risk of isolating the poets who enjoy and are inspired by each other’s performances and informal conversations. 2018 WORDS ALOUD SPONSOR ORGANIZATION: Words Aloud 15 is grateful to have SHEATRE as our sponsor for purposes of funding applications & financial donations. Their board has been enthusiastically supportive and accommodating whenever called upon. Sheatre’s assistance was critical to the success of this year’s Festival and we are honoured to have them as our community partner! Learn more about the history of our fascinating festival. 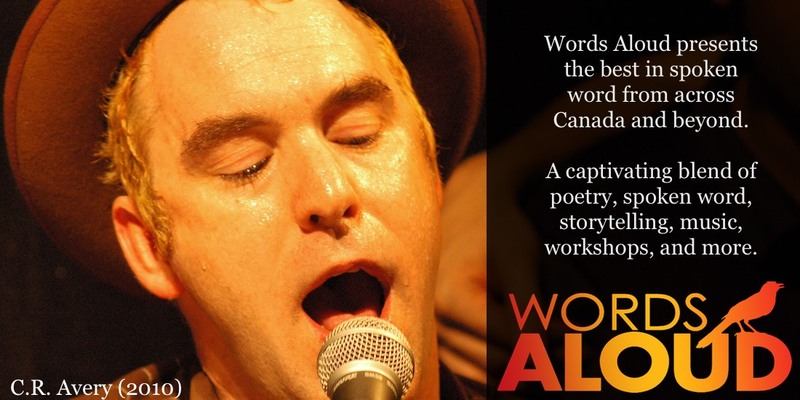 Check out this brilliant classroom learning resource featuring video performances by 14 of Canada’s best poets and storytellers. If you're in secondary or post-secondary school, you could spend the festival weekend meeting, working and socializing with festival volunteers and festival stars. Find out how. 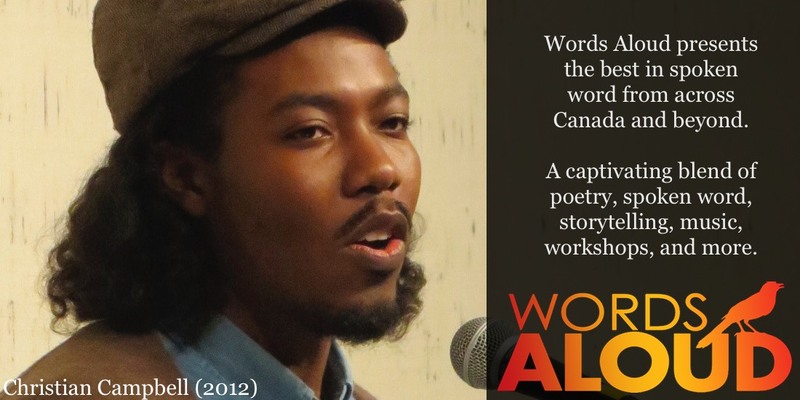 The latest news & updates from Words Aloud.